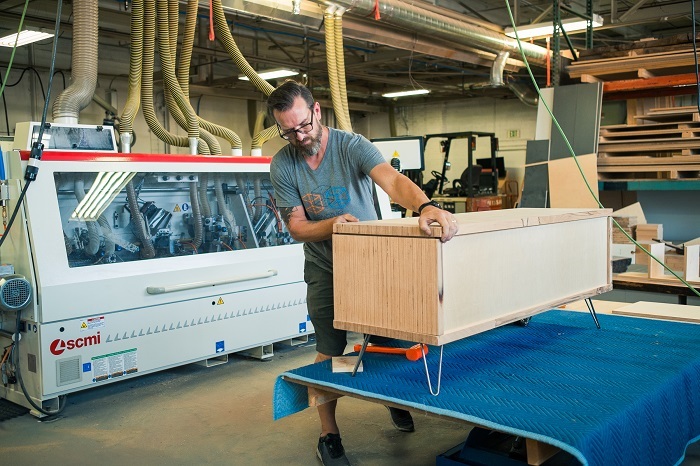 After working in architectural woodwork for over 20 years, designing and selling millwork packages for commercial, academic, and retail businesses, Stan Sommer decided to venture out on his own. He saw a lot of millwork, casework and cabinetry work being outsourced to China and other countries to save money. His philosophy is that sending materials overseas creates problems in standards and quality control. One of the most worrisome problems involves indoor air quality from off-gassing of materials that don’t meet VOC (volatile organic compound) standards. So, in 2014, Evolve Elements was born. Stan chose the name Evolve because he wanted to approach business in a whole new way. Rather than the standard business model of offering “one size fits all” products, he let his customers dictate what he was going to sell. Stan believes that what sets Evolve apart is their flexibility. “Our tagline is, if you have to think outside the box, you are in the wrong box. 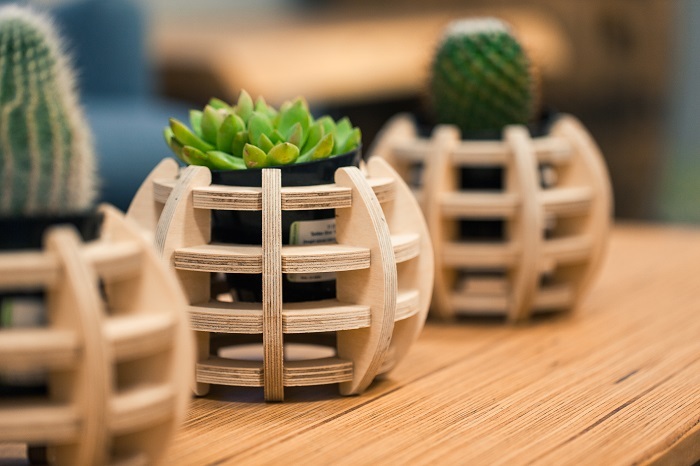 We have no preconceived notions of what our customers want, so they get what they want and not something off the shelf.” He continues, “Anyone can go to Ikea and get what Ikea wants to sell them—you can’t change the size, color, or height. At Evolve, everything is completely customized for each customer. One thing they are proud of is their live-edge tables that are cut from the trunk of a tree, leaving the natural edge exposed. This produces a table with what is known as a ‘live-edge’ that appeals to those looking for a rustic, modern design. The slab table tops are sourced from local arborists and some out-of-state mills using white oak, elm, cottonwood, and maple. 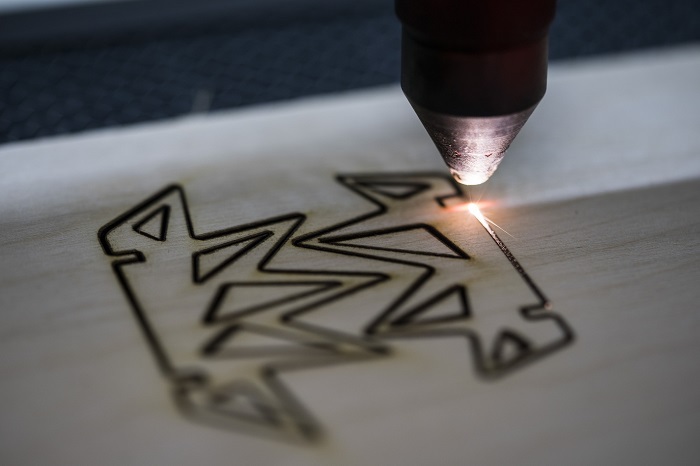 Bringing their designs to life is facilitated by cutting-edge technology including a CNC (computer numerical control) machine that will carve wood to any shape or profile that the designer programs. As for the future, Evolve Elements is gearing up to launch a customizable furniture line for consumers. The new line will include a variety of tables, chairs and stools that can be customized to each individual customer’s taste. 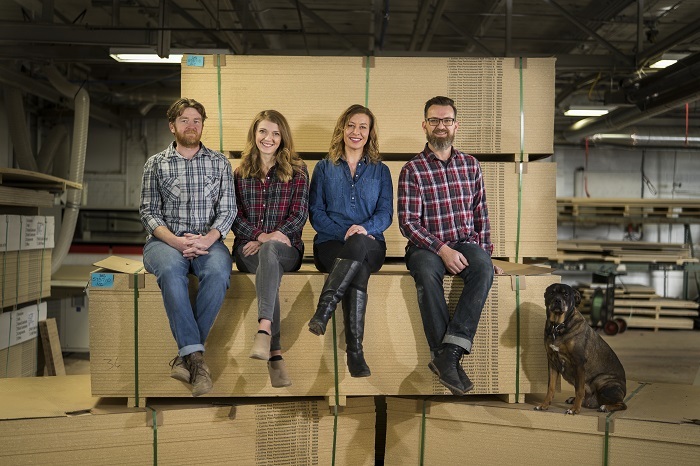 The new furniture line will be on display at the Made in Utah Festival on August 25 at The Gateway. Evolve is also very much a family-owned and operated business. Part of the appeal of owning his business for Stan is working with family. His daughter McKenzie Whitener handles all the administrative duties as well as scheduling the shop and procuring supplies. Son-in-law, Mark Whitener, is the production manager that controls the machinery. Stan says that on most days you can even find his 2-year-old grandson in the shop trying to help everyone.